You'll enjoy a bit of beach vacationing at Venice Beach and Boardwalk and Santa Monica State Beach. 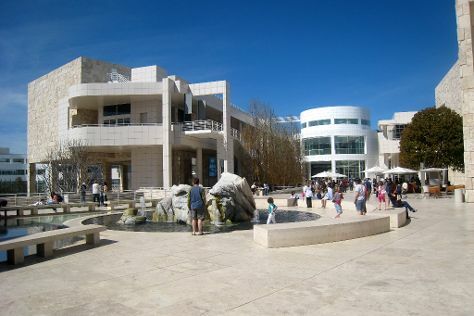 Satisfy your inner culture vulture at The Getty Center and Griffith Observatory. Change things up with these side-trips from Los Angeles: Santa Monica Mountains (in Santa Monica) and Disneyland Park (in Anaheim). There's lots more to do: take a leisurely stroll along Santa Monica Pier, appreciate the extensive heritage of El Pueblo de Los Angeles, identify plant and animal life at Kenneth Hahn State Recreation Area, and admire the masterpieces at Diorama-museum of Bhagavad-gita. To see where to stay, ratings, maps, and other tourist information, use the Los Angeles holiday planner . Pittsburgh to Los Angeles is an approximately 7.5-hour flight. You can also drive; or take a train. The time zone changes from Eastern Standard Time (EST) to Pacific Standard Time (PST), which is usually a -3 hour difference. Expect somewhat warmer temperatures when traveling from Pittsburgh in October; daily highs in Los Angeles reach 82°F and lows reach 62°F. Wrap up your sightseeing on the 14th (Mon) early enough to travel to Pittsburgh. Get a sense of the local culture at Fallingwater and Mount Washington. Appreciate the collections at Bicycle Heaven and Carnegie Museum of Natural History. 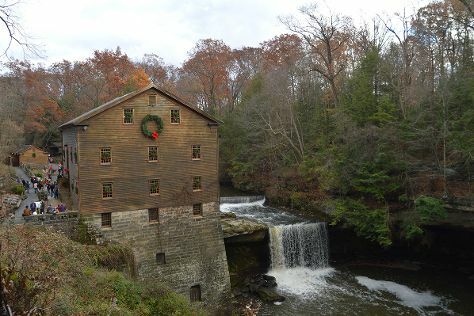 Explore the numerous day-trip ideas around Pittsburgh: Fred Rogers Exhibit (in Latrobe), Mill Creek Park (in Canfield) and Powdermill Nature Reserve (in Rector). There's much more to do: admire all the interesting features of Beechwood Farms Nature Reserve, admire the landmark architecture of Hartwood Acres, take a stroll through The Strip District, and explore the world behind art at Carnegie Museum of Art. To see other places to visit, where to stay, reviews, and other tourist information, you can read our Pittsburgh trip itinerary maker app . Fly from Los Angeles to Pittsburgh in 7.5 hours. Alternatively, you can drive; or take a train. Due to the time zone difference, you'll lose 3 hours traveling from Los Angeles to Pittsburgh. Expect little chillier temperatures when traveling from Los Angeles in October; daily highs in Pittsburgh reach 65°F and lows reach 48°F. Wrap up your sightseeing on the 18th (Fri) early enough to travel back home.